Help your students take recycling to a whole new level in your classroom with these inspirational ideas and projects. Download free resources to encourage recycling in your school. Plus participate for chances to win cash and prizes! Learn more about Recycle Rally here. It’s easy to make recycling in your classroom a daily activity. Try implementing a few of these recycling activities into your regular routine, and before you know it, recycling will be second nature to your students. It’s also a great way to instill a lifelong habit of creating sustainability, and you can show them that even the smallest actions matter! 1. Hold a recycling contest. Who can recycle the most in a day, week, or even a month? This is an easy challenge to execute—just get multiple recycling bins and start collecting. How you run the contest is up to you, but here are a few ideas: Divide up your class to form two to four different teams, challenge another classroom in the school, or even have a teachers-versus-students contest. You can use the printable signs for cans and bottles from Recycle Rally. 2. Turn recycling into writing prompts. Mix up your daily journal or writing activity by giving students these recycling-themed writing prompts. They’re available to download for free right here. You can print as many sheets as you need. It’ll help your students think about writing—and recycling—in completely different ways. 3. Add recycling lessons to your lesson plans. What if you could get teacher-created recycling lessons for free? We have them available right here. These downloadable lessons are done in the 5E lesson-plan format, and they come with student worksheets to hand out, too. You can get lessons for science, math, language arts, and more. 4. Bring in a guest to talk about recycling. Do you know another teacher, parent, or community member who’s super passionate about recycling or being green? Invite them to your class to get your students excited and learning even more about the subject. We did a video series with Joe Dombrowski (aka Mr. D), and he loved sharing his passion for recycling with us. Check it out above. 5. Turn recycling into a game. If your students can see their progress with recycling, they’re more likely to do it outside of the classroom, too. So what can you do to show how much paper they’ve saved or the number bottles and cans that they’ve collected? Use a sticker chart, take photos, or just recognize students when you catch them recycling. Or if you want to be really ambitious, try our life-size game of Recycle Drop (above). Collect recycled items until the container is full. And then play the game with your students. Learn more about the game here. 6. Create recycling anchor charts. Anchor charts are a great way to help elementary students learn. They are also a good way to encourage classroom discussion. You can check out some of our favorite anchor charts here. Remember that anchor charts are meant to be created along with your students. So begin by charting out a main idea or question and then build the chart by getting your students’ responses. 7. Play bingo and learn as you go. We created this recycling-themed bingo game to help make learning about recycling more fun for your students. It includes a teacher’s guide for lessons and talking points for the different items featured on the boards. Be sure to take breaks and lead class discussions as you go to help students learn about and understand all the icons. 8. Hang posters around the classroom and school. You can send a strong message just by hanging posters or art, like these free mini posters. They’re perfect for the classroom or the hallways of your school. Ask students for their input about where the posters should go and also talk about what you hope the posters do for the school. 9. Start a classroom or school Green Club. It might seem involved or daunting to start your own Green Club, but it doesn’t have to be. Here’s an article with some tips to help you out. Above all, remember to start small. 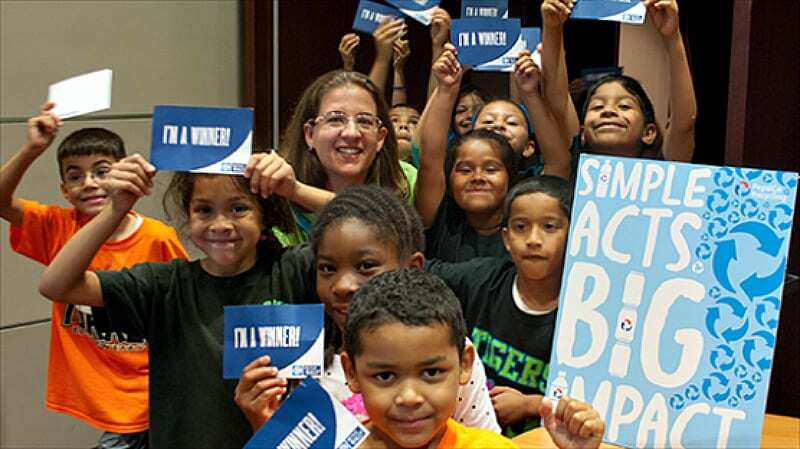 The club can be established with just a few engaged kids and a single purpose. If you’re looking for some free resources to hand out at your school or take your Green Club up a notch, we have those, too. Download a coloring page, poster, bookmarks, and more right here on our Green Club free downloads page. 10. Create your own infographics to hang in the classroom. Infographics are so fun. They provide students with a really good visual. 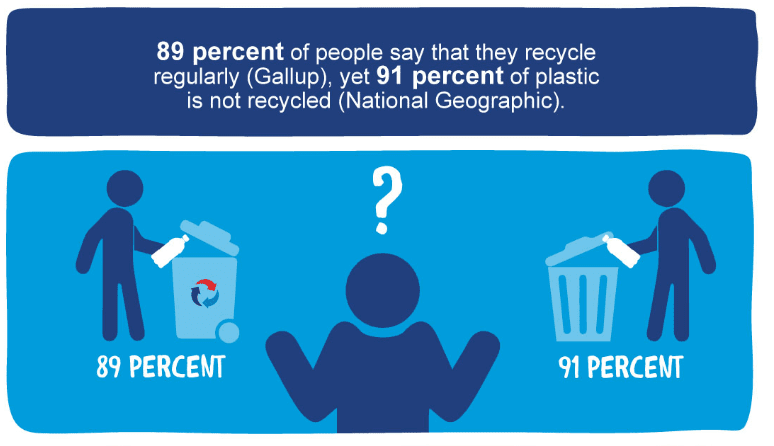 Download some recycling infographics and facts here. Making infographics can also be a good classroom activity. Assign students to small groups and have them research statistics and facts about recycling. Then challenge them to create their own inforgraphic, presenting what they learned in a visual way. 11. Take a quiz to learn if you can recycle an item. It’s sometimes tricky to know what you can and can’t recycle. To start this conversation with your students, have them take this quiz, either on their own or as a class. Then start talking about the items you all learned about. How many can be recycled in a school or classroom setting? 12. Research programs that handle challenging items. Paper, aluminum cans, and plastic bottles are all things that students can see being recycled every day. But what about items like broken crayons, batteries, or old electronics? If you build off of some of the lessons from the quiz, then you have a great lesson to teach to your students. Create several small groups and assign each of them a list of items that are more challenging to recycle. Then have them research to learn how those items can be recycled. As a final activity, they can present their findings to the class. 13. Talk about how recycling works. Be sure to cover the basics. You might think students have an understanding of how recycling works, but it might not be as clear as you think. Start with “Life of a Plastic Bottle” and “Life of an Aluminum Can,” two great videos on the Recycle Rally website. Videos are a good way to start the conversation about how recycling works, and they’ll help students see that their actions really do matter. 14. Create a recycling game for class. After your students have learned some basic facts about recycling and sustainability, use a trivia-game-show format to test their skills. If you’re looking for a little assistance, you can download this PowerPoint presentation with recycling trivia questions. As an added bonus, the points system has already been figured out for you. So you can really just put the presentation up on the overhead and start playing. You can find oodles of plastic containers around the house that make handy-dandy organizers. Challenge your students to look around their homes or in their recycling bins to find something that can be upcycled or reused. For instance, a yogurt container can be used as a crayon holder, a plastic bottle can be quickly transformed into a vase, and baby wipe containers can hold just about any classroom odds and ends. 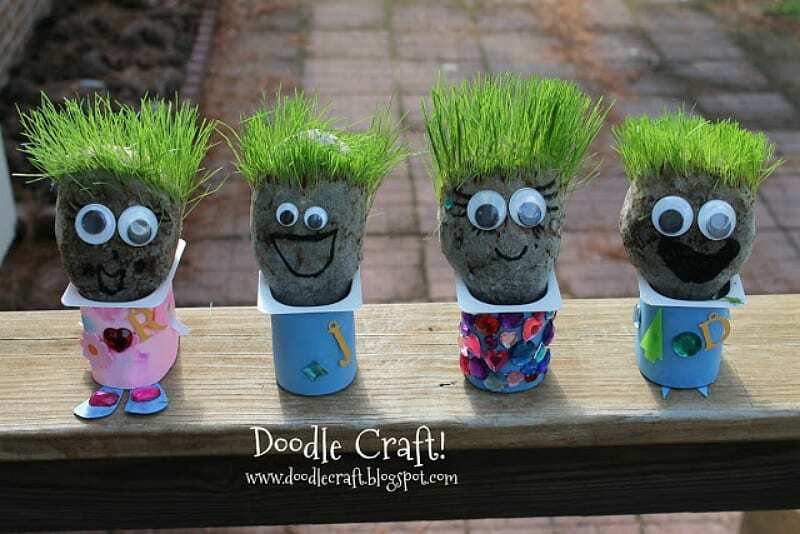 We love this gardening project from Doodle Craft blog. 16. 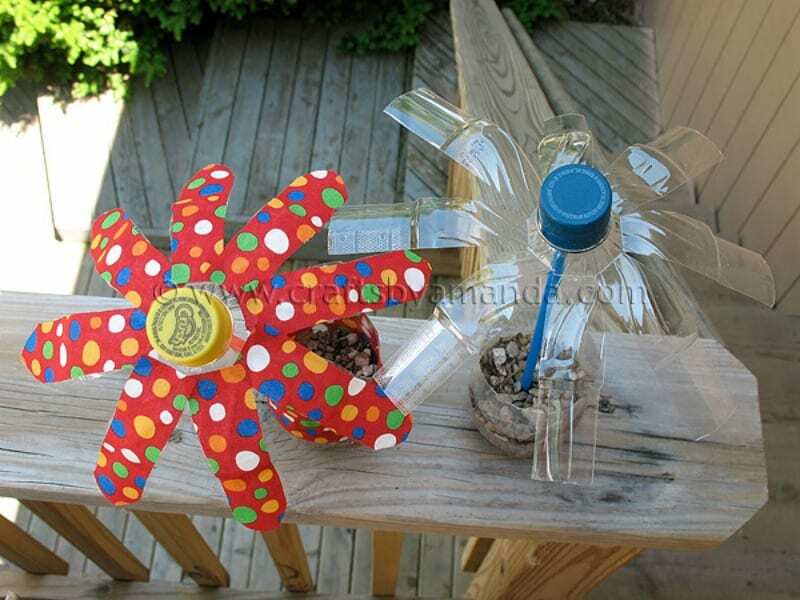 Create a prize bag of recycled items. Get your students’ parents involved by asking for items to use for the classroom prize bag. Give them suggestions—toys from kids’ meals, little freebies from conferences, and other odds and ends—and you’ll be surprised at the items you can collect. Students will love picking a prize from the recycle bag when they hit different recycling milestones and goals. 17. Designate a container for scrap paper. Establish a rule in your classroom that both sides of a piece of paper must always be used. If students have a piece of paper that hasn’t been used on the back, have them put it in a container. The back side is great for notes, art, and the like. 18. Make your own recycled paper. Now that you’ve established a method for collecting paper, it’s time to do something with it. Learn how to turn scraps into new paper for your classroom. This process can be a bit involved, and it might be best when spread out over a couple of days, but it’s a wonderful hands-on lesson for students. 19. Monitor your water usage. Challenge your students to track their family’s water usage at home for one week. Give them a chart that includes the estimated water use for common daily activities, such as brushing teeth and doing the dishes. (Here’s an example.) Then have them do the math! As students recycle, they’re also helping to conserve water. In turn, this leads to a more sustainable and better environment overall. Take a look at PepsiCo’s Recycle for Nature program to learn more. 20. Challenge students to repurpose objects by using them in their art. Fill an area of your classroom with objects—plastic containers, old beads, and even outdoor objects, like sticks. Then have your students use them to create art. Encourage students to be creative and bring in their own items as well. Here’s one of our favorites (above), made from bottles, from Crafts by Amanda. 21. Make a PSA about recycling. A PSA (public service announcement) is a fun way to get kids to further research recycling. They can turn their newfound knowledge into a video. Encourage students to research PSAs and really work on their overall messaging until it’s perfect. You can assign different roles, like director, writer, producer, and on-screen talent. Once it’s ready, film it, edit it, and then share it with parents and the public. The PepsiCo Recycling Facebook page would love to share it as well, so be sure to upload it there. 22. Plant a garden or a tree. In general, gardening is an excellent hobby to implement in schools, as it gives back for years and years to come. Plus, you can even turn it into a recycling project. Go outside with your students and collect seeds, pods, and even nuts. They can plant the seeds at home in their own backyard or in their neighborhood. Check out the Nature Works Everywhere lesson plans for more lessons on gardening and other nature topics. 23. Hold a coat or clothing drive. This is a fantastic way for kids to extend the life of their own items and, in turn, help someone in need. One Warm Coat is a good organization to start with if you want to hold your own drive. You can also just donate clothing items to a local organization. 24. 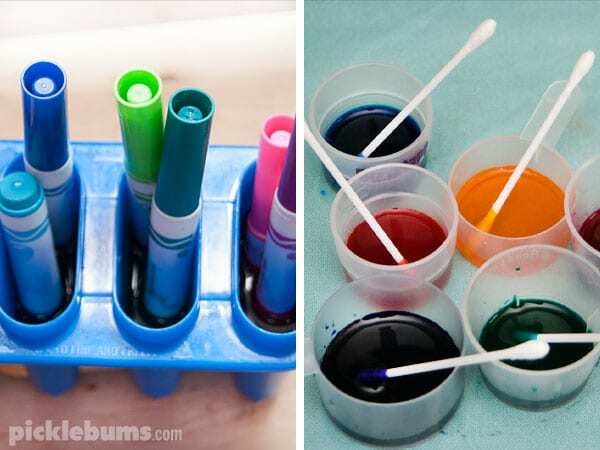 Recycle markers to make paint. Is this messy? Yeah, probably. But is it also awesome? Most definitely! Try this activity in your class and turn old stale markers into paint! This activity would work best if you can be outside to experiment. Check out tips from Picklebum. 25. 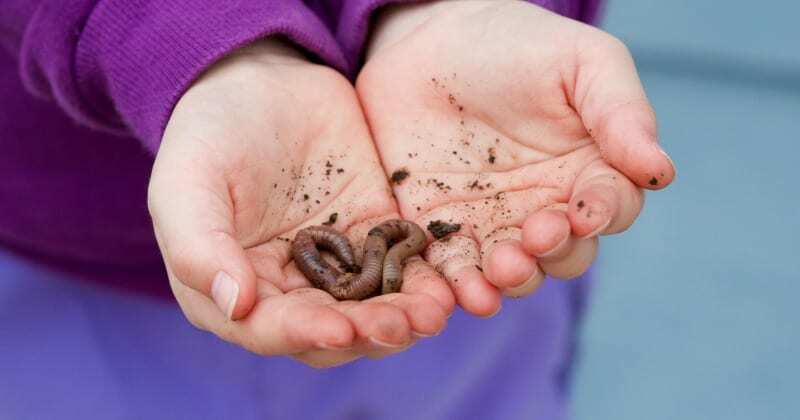 Welcome worms into your classroom! Worms?! You betcha. Vermicomposting is the method of composting using red wiggler worms. Long story short, the worms eat garbage and turn it into gorgeous, nutrient-rich compost—they are definitely doing a version of recycling. You can get started with this fascinating hobby in a relatively small space, and the kids will love it! Join Recycle Rally, and you and your students can win great prizes for increasing recycling at your school. Plus, you’ll find more recycling activities, lesson plans, downloadable posters, and more!